The upcoming Hangzhou G20 summit is an important opportunity for European leaders. In the last week of May the “Old World” met at Japan’s G7 summit. In just a few months time, in September 2016, the “New World” will be meeting at China’s G20 summit. Between those two global summits, Britain will decide on its future in or out of the EU, the eurozone will debate a sustainable solution on the Greek debt burden, and the United States will enter the final countdown for one of its most ideologically polarizing elections in its history with a deafening mercantilist echo and the rise of the populist street. All these events are taking place at a time of global economic insecurity, with anemic aggregate demand, the eurozone entering a deflationary cycle, Chinese GDP growth slowing, Japan’s Abenomics faltering, and emerging markets stalling on steep declines in commodities prices. And while all these events should have set up a lucid incentive for genuine coordination and cooperation between G7 and G20 on issues of global economic governance and development, Japanese Prime Minister Shinzo Abe led an effort to de facto insulate the G7 from the G20 and securitize the discussion on global governance by lobbying EU countries to take sides on the South China Sea issues. It thus seems increasingly possible that for the next few critical months two normative worldviews on the conduct of diplomacy and global governance will be clashing in Asia with increasing intensity. One will be the outdated realpolitik of the 20th century that gave birth to two apocalyptic world wars and the terror of the Cold War; the other will be a positive sum game mentality of constructive resolution of disputes and most importantly of global macroeconomic and developmental coordination. And make no mistake, these two worldviews have been present in the G7 and G20 summits. It is perhaps the EU that could silence the call for the securitization of global dialogue and instead support China’s commitment to undertake responsible leadership respecting at the same time the core national interests of each member of the international community. With the events at the recent G7 council, it has become clear that Japan has viewed the G7 forum as a strategic window of opportunity to frame China’s actions in the South China Sea as revisionist and dangerous for the global seas and the norms of the liberal global order. Building on a security agenda, Tokyo has attempted to revitalize the democratic trilateralism of the Cold War age between the EU, the U.S. and Japan and contain China by creating new divisive ideological lines. Abe himself has attempted to court the Europeans with a recent soft offensive and a trip across the capitals of the old continent. On the other hand, the G20 Hangzhou summit will be China’s opportunity to showcase its commitment to responsible global leadership and its inalienable support for the security of the global commons and the unhindered development of the global economy; something that Wang Yi’s “10 results” plan has made clear. Under that plan Beijing is determined to lead with a strong development agenda and a commitment to UN imperatives for global sustainability (Agenda 2030), poverty alleviation, and infrastructure development, perhaps building upon its new network of institutions as the AIIB, the New Silk Road Fund, the China Development Bank, and their complementarity with other non-Chinese organizations. However strong and committed China might be in showcasing responsible leadership in the G20, the EU still has a crucial role to play in supporting a process of constructive engagement between G7 and G20 and propelling the agenda of macroeconomic coordination, global governance, and sustainable development. This EU strategy to balance between G7 and G20 and reconcile the old with the new serves first and foremost the EU’s core economic interests. To be sure, the macroeconomic fundamentals of the eurozone economy in the first quarter of 2016 show a degree of stabilization and the union has finally returned to its pre-2008 GDP. Still, there is significant uncertainty about the long-term recovery of the eurozone as economic cycles among core eurozone members remain asynchronous and most importantly as ideological polarization and populism gains ground across the continent. According to the Eurostat, the eurozone economy has expanded 0.6 percent in the first quarter of 2016 compared to a 0.3 percent growth rate in the previous quarter. The recovery however remains fragile, as deflationary pressures have aggravated investment climate. As the inflation rate is negative. the European Central Bank has continued its monetary easing. Importantly, for the first time in a public press conference ECB President Mario Draghi displayed some interest in the concept of “helicopter money” as a tool of last resort to boost aggregate demand. The negative interest rates has led to a public backlash in Berlin, where senior economists and politicians have declared Draghi’s policies to have broken the ECB’s constitution and warn that they will take the issue to Germany’s constitutional court. Politically, the Christian Democratic Party – almost a year before national elections – is looking to support its crucial base of German pensioners, who are struggling with the hit to their return on investment as the ECB keeps interest rates at zero. The last shock that the EU could experience during its fragile recovery is an internal division over the optimal economic policy and most importantly an exogenous shock by a securitized Asia, faltering trade, and the collapse of global demand. It is therefore in China and the EU’s best interests to coordinate and together support the “10 results” plan of the Hangzhou G20 summit to accelerate growth in global trade – the lifeblood of the global economy – by boosting global aggregate demand and investing in connectivity and infrastructure – the veins. In addition. China and the EU should set up a special research program to analyze the impact of helicopter money in global aggregate demand and its contribution to trade. Finance ministers at the G20 could also promote a global agenda to outlaw tax havens and thus neutralize a key argument of populists who have repeatedly cited the Panama Papers as a proof of elite corruption and inequality. Meanwhile, China should push for macroeconomic coordination through closer interaction among finance ministers and central bankers, and most importantly should declare its commitment to an agreement on public procurement, long a core EU request, and its support for Chinese economic reform as competition increases. The AIIB and other Chinese investment institutions should stress their openness to global coordination on investment and continue their close engagement with European institutions. It has long been an cliché that the EU is an economic giant but a geopolitical dwarf. Yet it is evident that the economic weight of the EU and its normative diplomatic tradition could be important for the success of the Hangzhou G20 summit and for a diplomatic bridge between Tokyo and Beijing, whose cooperation is indispensable for the development of Asia and global peace. Inspired by its great fathers, the EU must support the peaceful transition to a polycentric world and not follow divisive arguments that look to reconstruct the fault lines of a new cold war. While pundits have long argued about the internal distress of the EU and its lack of global strategic foresight, perhaps the Hangzhou G20 summit offers an opportunity for European leaders to decisively challenge this rhetoric and contribute to a flourishing and prosperous global economy. Shi Zhiqin is a professor of International Relations at Tsinghua University and the director of the Research Center on the New Silk Road. 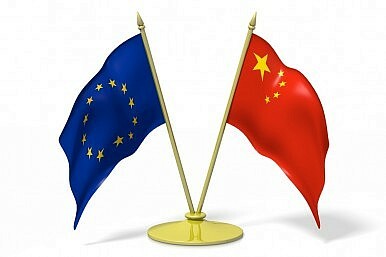 In EU-China Discussions, It’s Time Human Rights Took Center StageAsia's Geopolitical Challenges: Outlook 2019European Sanctions Are a Response to Cambodia’s Totalitarian ShiftThe EU’s New China Resolution: Principled But Not StrategicCould the China-EU High Summit Preserve the Global Trade Order?